At ChemDry Rapid Dry, we know how important a clean house is to you and that getting your carpets cleaned is just the start! We also understand you expect a high quality professional Sydney carpet cleaning service, knowing that you are getting more than just a basic carpet clean, lounge clean or mattress clean leaving your home looking refreshed, revitalised and sanitised. ChemDry carpet cleaning uses thousands of tiny effervescent bubbles to get your carpets and upholstery hygienically clean. 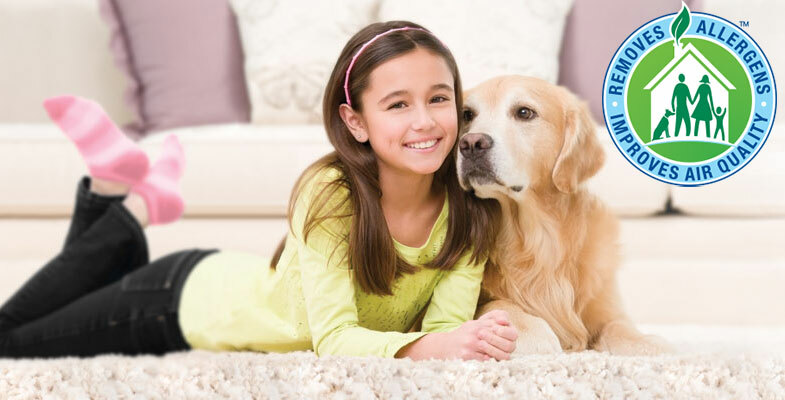 ChemDry removes 98% of allergens from carpet and upholstery and 89% of airborne bacteria. To achieve these results ChemDry uses top of the line equipment which includes our exclusive and licensed ChemDry steam cleaning technology that uses hot water extraction for a deep clean. For residential and commercial carpet cleaning Sydney-Wide, hire Chemdry Rapid Dry carpet cleaners. We offer carpet cleaning all over Sydney including North Sydney, North Shore, Hornsby, Castle Hill, Baulkham Hills, Blacktown, and Parramatta. Contact us to request a free quote today! Carbonation makes dirt and grime release from the fibres of your carpet and raise to the surface where it is easily extracted and swept away. Contact our team of carpet & upholstery cleaning professionals at Chem-Dry Rapid Dry for the finest quality and service. Chem-Dry is the world’s leading carpet and upholstery cleaner as ranked by Entrepreneur Magazine for 27 years in a row as #1 in the category. Chem-Dry Rapid Dry is Sydney’s premier provider of carpet and upholstery cleaning solutions in 2017. With our special, licensed Chem-Dry cleaning technology, we exclusively have the most thorough and safe carpet cleaning Sydney can offer. Our expert technicians are trained to be able to remove even the toughest stains and odours to make your carpets and upholstery look and feel like new, without leaving any residue or fading. In fact, our cleaning technology actually extends the life of your carpeting, so you know you’re getting the best value for your money. With over 20 years of experience, Chem-Dry Rapid Dry offers the highest quality carpet and upholstery cleaning in the industry. Don’t risk your flooring investment: trust the professionals to get the job done right the first time. We offer both residential and business cleaning services, as well as water damage restoration, so you know you’re working with experienced and professional experts. Our technicians are efficient but thorough, and are trained to work with minimal disruption to your business and household. In fact, with our patented Chem-Dry process, you can start walking on your carpets again right away and they’ll be fully dry in just one hour, because we know time is important to our customers. Aside from the best carpet cleaning Sydney has to offer, we also offer a wide variety of cleaning services, including rugs, leather, and upholstered furniture. Let us take care of your delicate fabrics; our patented cleaning process keeps them safe and protected while still giving them a thorough clean. Chem-Dry Rapid Dry customers have nothing but good things to say about us and our services: with pleasant technicians that know the business inside and out, you can feel confident that you’re getting the highest level of service available. Our friendly staff can answer any questions or concerns, and you can quickly get a free instant quote online or by phone. We stand by our products and services so much that we even offer a satisfaction guarantee; if you’re not completely satisfied with our carpet cleaning Sydney services, we’ll come back at no extra cost to make sure you’re 100% percent happy. Excellence is our business; anything less simply won’t do. Whether you’d like to request a free quote or simply chat, give us a call today to speak to one of our friendly and knowledgeable staff members. We offer the best customer service in Sydney, so give us the chance to prove it to you! For all your carpet and upholstery cleaning needs, Chem-Dry Rapid Dry is the top carpet cleaning Sydney provider.